Steemit is a social platform where users blog and conduct activities that are same as activities done on other social media platforms you can think about and earn rewards from it. Steemit is built on a block chain called steem and it is decentralized, decentralized in the sense that there is no other power over your account. Blockchain is like the register that takes note of any transaction carried out on the platform. When you make a post on your blog, it has the tendency of reaching virtually everybody on the platform and if it looks good to them you are rewarded with an upvote which generates rewards that can be withdrawn 7 days after posting. Steemit embraces good talents, ranging from poetry, writing, photography. Anything really. This is my first contribution on the utopian platform, I have to step in to make more of these projects known mainly because they are not so heard of, especially steemit. This challenge in mind propelled the urge to promote the project Steemit. With it's rich features, Steemit ought to be on the highest pedestal of the social media world. The aim of promoting this project is to shed light on it so the world or a portion of the world (Africa) can come into realization of this amazing platform. I've been doing some face to face promotion about this project(Steemit). But in this 21st century almost everything is done digitally to achieve optimum results. This is my first online promotion to bring visibility to this project. This promotion was carried out with a post on my facebook account in which I created a page "Open Source Project ". The purpose of the page was to promote several open source projects that really needed to be promoted. I made a post on the page and made an illustration of the project with a text post backed by an image portraying the project Steemit. 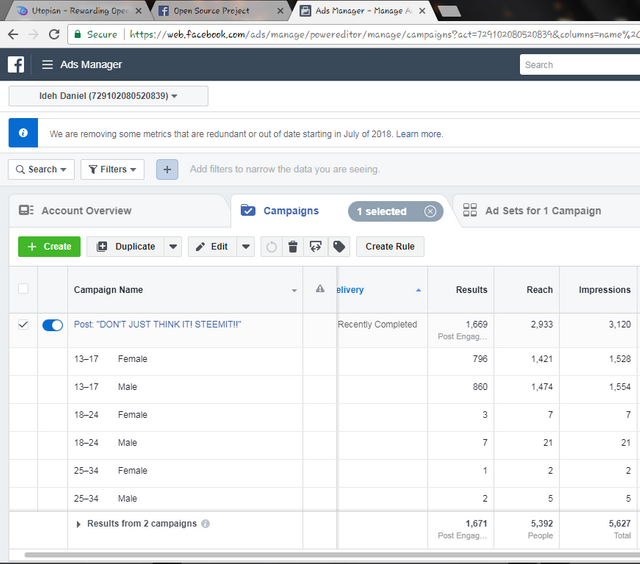 To make this post effective, I used a catalyst called ads on facebook to effectively reach a reasonable amount of people in a short time. My name is Ideh Daniel and my nickname is Lorddanzi which is my user name on steemit. 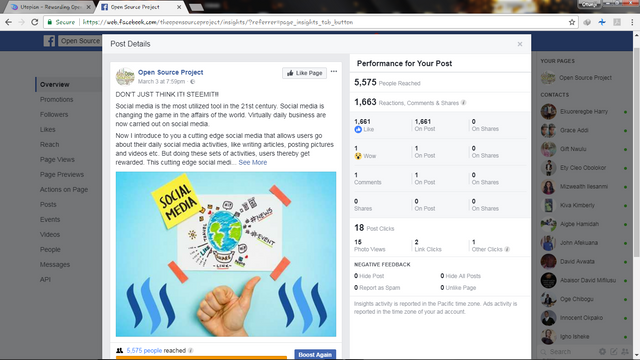 Been a huge beneficiary of the steemit platform, it's my will and purpose that this project goes viral and not just viral but actually get people engaged. Africa really needs steemit and I'm glad to be among the number of people promoting this project. Hey @lorddanzi I am @utopian-io. I have just upvoted you!